Major Niall Kearey is split between two worlds. 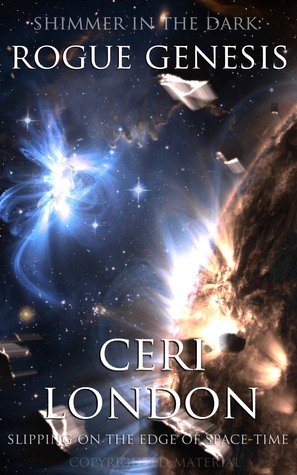 He lives on Earth, but his mind can visit Astereal, an alien world across the universe. He’s just discovered his fantasy planet is real. To the telepathic race on Astereal, Niall is a legend and military leader. Now the dueling forces of the dark stars are tearing Astereal apart and prophecy says he can save them from an apocalypse. On Earth, Niall’s growing psychic abilities attract unwanted attention putting his family in danger, but his attempt to rescue them has horrific consequences. With alien invasion a real threat, the US government designates him a security risk while a secret political conspiracy seeks to control him and this first contact with extra-terrestrials. Now Niall is torn between protecting his loved ones, saving an alien race, and his duty to Earth. As history opens his eyes to the full potential of his psychic powers, he finally confronts the disturbing scale of his dilemma. Will his attempts to save one world end up destroying two? One man. Two worlds. Psychic powers and an alternate world view that rewrites history. Major Niall Kearey is an all action hero with an edge, he can sense danger before it happens. By allowing his subconscious to escape into an imaginary world he’s known since he was a child, Kearey is able to identify a way out of danger and then act. But then he discovers a shocking truth. The world he’s known for so long isn’t imaginary but real, and they need his help to save their population before the planet’s consumed by a black hole. If you like your science fiction big, full of action and ideas, then this is the book for you. In Rogue Genesis, Ceri London successfully combines the raw excitement of a military conspiracy thriller with the ideas and scope of a space opera, taking the two separate storylines, one on earth, the other on Astereal, and intelligently drawing them together to a satisfying conclusion. This is a big book and it’s unsurprising there are the occasional missteps. At points the action slows as each of the elements are brought into alignment. Sometimes there is too much reliance on the science behind what’s happening, making the story more, rather than less confusing. There is also an issue that Major Kearey reaches the peaks of desperation quite early in the story, meaning emotionally he has nowhere else to go, which can be a little draining. However, for the quality of the writing, the scale and ambition of the story, and the sheer breadth of ideas make this a book worth reading. I can’t wait to read the next. Recommended. Recommended reads are either independently published books – or those that are published via a small press – that I have bought and enjoyed. They are part of a commitment to ‘pay it forward’ to other independent authors by buying their work and promoting those that I have enjoyed, both here and on Amazon and Goodreads. I don’t accept submissions but instead focus on people who have helped or inspired me through their blogging or who actively support other writers, but I only recommend those books I have personally enjoyed. If you are an independent author I would encourage you to do the same and help pay it forward to the community. For more information please see my blog post here. Nice to hear that both storylines are handled well! It’s a real challenge to coordinate them. Sounds like the type of book I would love to read. Thanks for posting about it, Dylan. I’ve no idea how the book will play to those who don’t usually read sci-fi but I enjoyed it. I would encourage any author who isn’t doing so already to join in with the concept of Pay it Forward. It’s been a wonderful experience and has introduced me to some great books of a wide variety of genres and styles, plus it gives something back to the community that has been so supportive to me and many others.